Do you want an easier wooden go-cart to make? Want a more fun and friendly cart to drive, with a Steering wheel? People have emailed in asking these questions, so I dug out an old set of cart plans and revamped them. 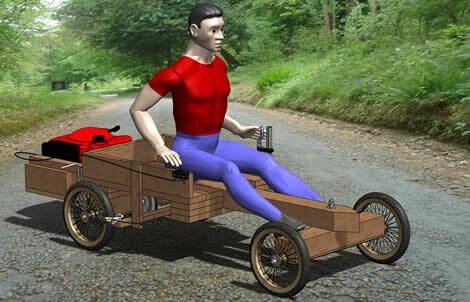 Below is an image of the wooden cart you can build. The plans for this are all finished and available now. A sample page of the plans can be seen below. 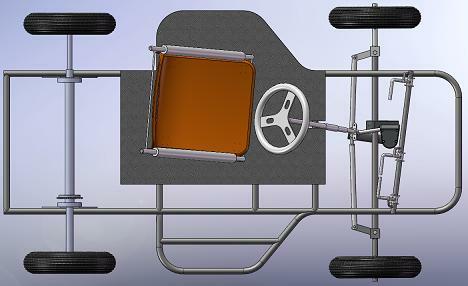 To download and obtain all 10 detailed Drawings, head to the kartbuilding.net website. If you have any comments or feedback it would be great to hear them. Send an email to or leave a comment here. 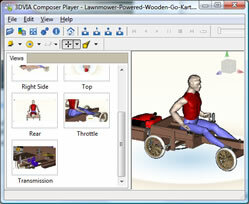 The plans for the wooden go-kart powered by a lawnmower engine are finally finished. 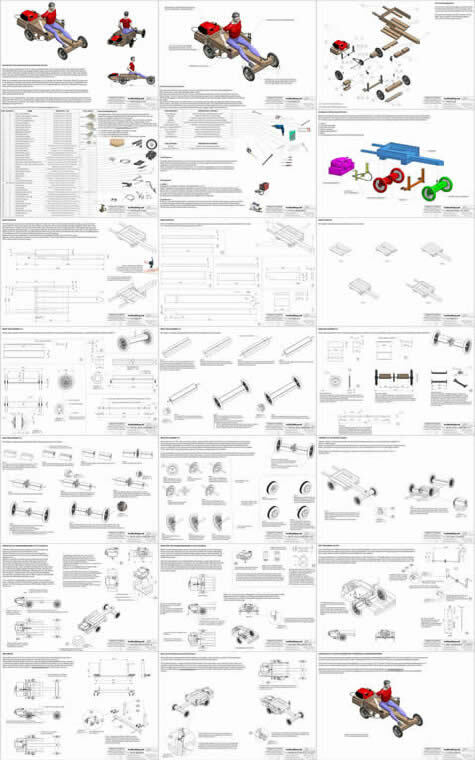 Below is a collage showing thumbnail images of the 21 drawings in the set of comprehensive plans for this go-kart. Full parts lists (shopping lists) and Tools required for this kart have all been documented. There still is no costing / overall price for each part done yet, but when it is it will be included. Head on over to the main kartbuilding website to see the completed set of plans. Preview: Off Road Kart Plans in the making. Apologies for not blogging here in quite a while. Behind the scenes more plans and material is been made. 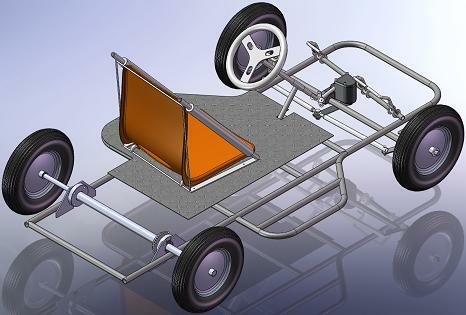 Below is a preview of plans for an off-road kart currently being drawn up. Full cutting lists and bills of materials will be created covering all aspects of building the off-road kart, using commonly available materials and parts. For example, for the seat below, which is a modified plastic chair with side reinforcements and padding, will be fully descibed with details on how to adapt it to suit. The wheels shown below are from a wheelbarrow! 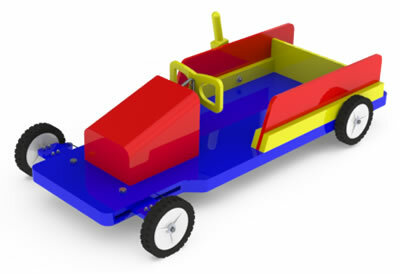 The idea of these kart plans is to provide details and information on making a low-cost, low-budget kart. 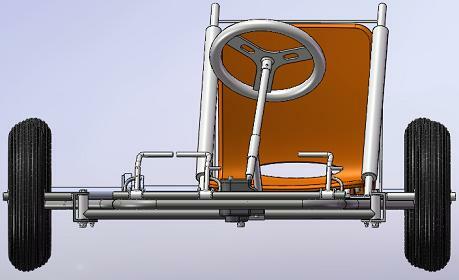 The plans being drawn will contain all the details and information of the the above kart (photo). It will be a few months however before the all the plans, details and information is fully completed for the above kart, so check back soon. If you have any ideas on what should be included in the Plans for this Off-Road Kart, please get in touch and let us know. The CIA (Commission Internationale de Karting) is the specialised Karting commission of the FIA, the governing body of world Motor Sport. The CIA oversees Karting safety in conjunction with the FIA and with a Research Group exclusively dedicated to Karting. 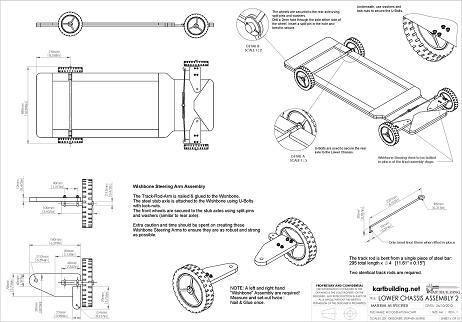 The CIA publish Technical Regulations for Karting, which includes detailed Drawings and specifications. 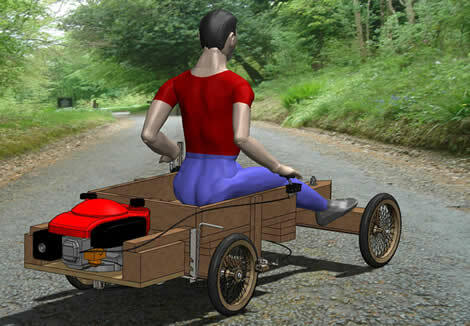 In their most recent publication (2007), detailed drawings showing measurements and designs for Kart chassis are included. The drawing above shows actual sizes (metric also!!) 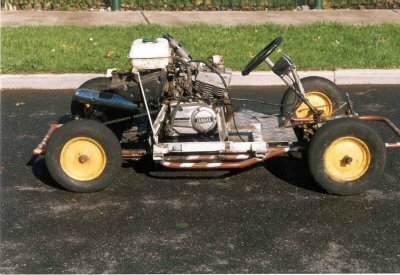 of Karts and provide an excellent guide to building a Kart complete to regulation!! 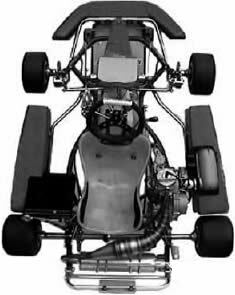 Many people, including myself develop free kart plans, and overlook the wealth of information and diagrams offered by Karting Authorities such as the CIA.